If you're new, this is pretty self-explanatory. Here are five things that are awesome. Also, hello! 1. Really pretty cakes - Here's my thing about cake. I always build it up in my head to be so much better than it actually is. I look at pictures of cakes and I imagine them tasting, not like cake necessarily, but more like heaven. I think I like imagining eating cake more than I actually enjoy eating it. I actually feel this way about most sweet things (apart from Reese's Peanut Butter Cups). Anyway, here's my latest pretty cake. This one caught my eye in the grocery store. 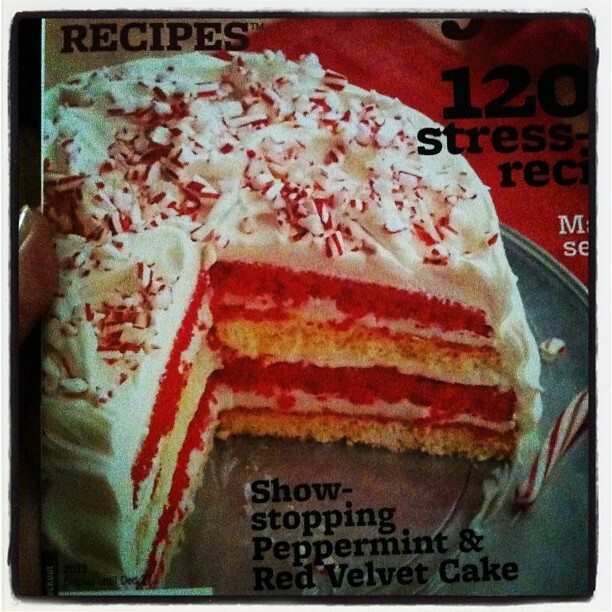 It was on the cover of Make Ahead Holiday, a Better Homes and Gardens special publication. The recipe itself was not so pretty, considering it wasn't actually red velvet cake, but I think I could make it better. Now I just need an occasion to make it. My family is more a fan of cookies at Christmas. For more delicious-looking cakes, I would check out this Martha Stewart Gallery. 2. 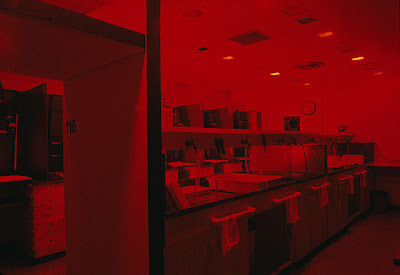 Darkrooms - I love darkroom photography. The darkroom is my zen space. I love the smell of developer on my hands after a session. I love watching the photo appear on the paper. Digital can never measure up in that way. My last darkroom class at the Bemis School of Art is tonight, but I'm definitely signing up to start again in January. 3. 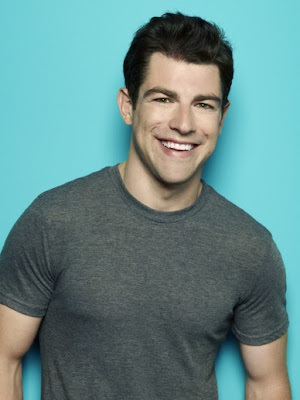 Schmidt on New Girl - He's definitely my favorite character. I'm pretty much watching just for him. He's hilariously douchebaggy. Plus, he's Deputy Leo! I can't not love the actor. 4. 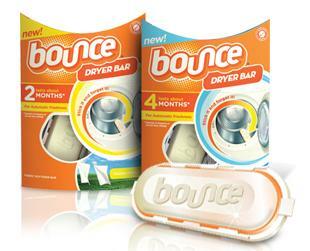 The Bounce Dryer Bar*. No dryer sheets, no waste, no hassle. Seriously the best thing ever for laundry. Plus, it actually works. No static, and my clothes smell very nice. My days of finding dryer sheets everywhere around my house may be over! I have seen some complaints around the internet about the bar breaking, but I haven't had any problems with mine. 5. 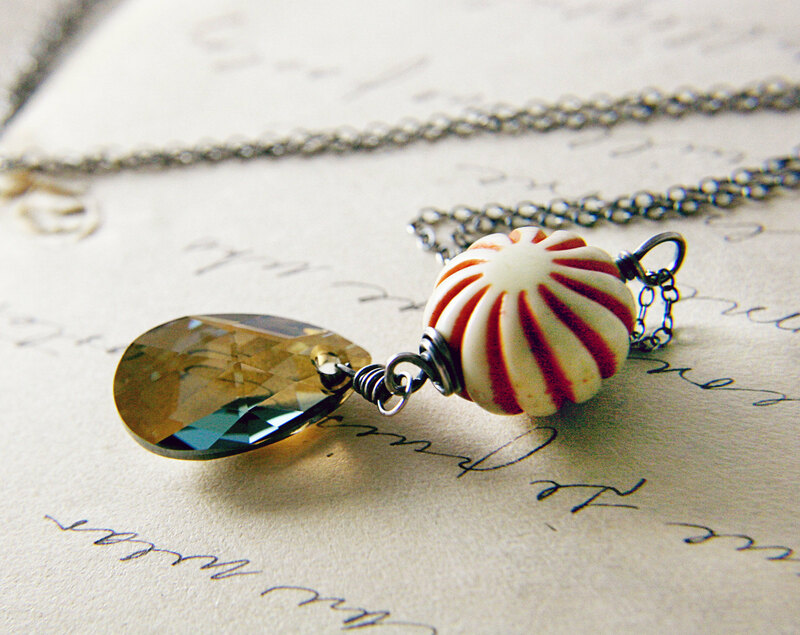 Funky Jewelry. I don't wear much, but when I do, I like interesting pieces. I spotted this necklace on the front page of Etsy today and it is so cute! 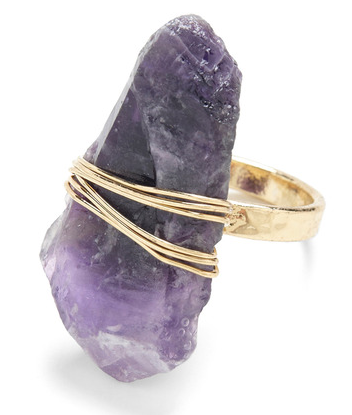 And this ring from Modcloth is so much fun. *I should note that I did receive a free bar from BlogHer, with no obligation to post about it, but I was already using the dryer bar for months before receiving it! Holy crap, you could kill someone with that ring. Ashley - He is so great. Mike - Yes, I'm not sure how comfortable it is to wear, but it is cool. Oh, I'm glad you shared about the bounce bar. I've been debating about picking one up and now I will! Suzanne - it's pretty great! Thanks for stopping by, I know you have your hands full! @Mandy - Dryer sheets are problematic in so many ways. My only thing is that, now that we're moving, I have to somehow get the bar holder out of my dryer.